This weekend I had the opportunity to “be one with nature.” We just had to take advantage of the beautiful weather we had in KC this weekend! 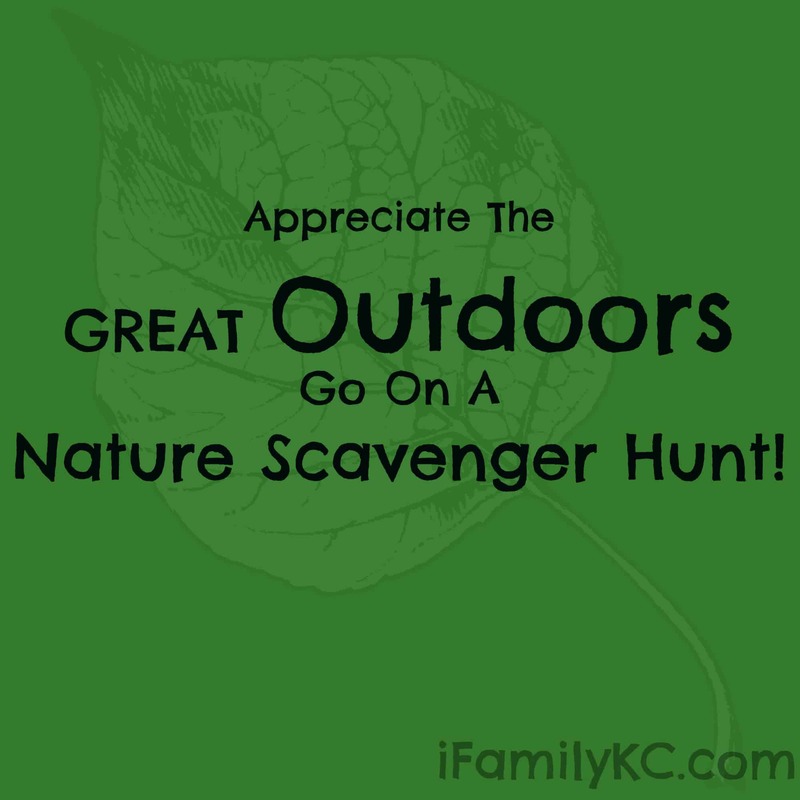 I loaded up the kids and off we went to the park for a nature scavenger hunt! You may not realize this but behind the renowned Penguin Park of KC North is a beautiful and serene walking trail in the woods complete with geese and a nice large pond for fishing! So if you can find a way to drag your kids away from the giant penguin and his Kangaroo friend for this fun activity, it will be worth it!! I mentioned our hunt to one of my friends, who grew up in the area and she had no idea the trail was even there! A few months ago, I had pinned the scavenger hunt to one of my Pinterest boards. After spending Saturday morning doing mundane chores around the house and my kids getting bored of everything, we decided to head out and see what things we could find! The scavenger hunt included pictures of the items as well as the corresponding word, which was perfect for my daughter, who is learning to read. We searched high and low for birds, clouds, dirt, plants, spider webs, water and bugs. We even added some of our own ideas to the list as we discovered them along the way. My daughter loved it! 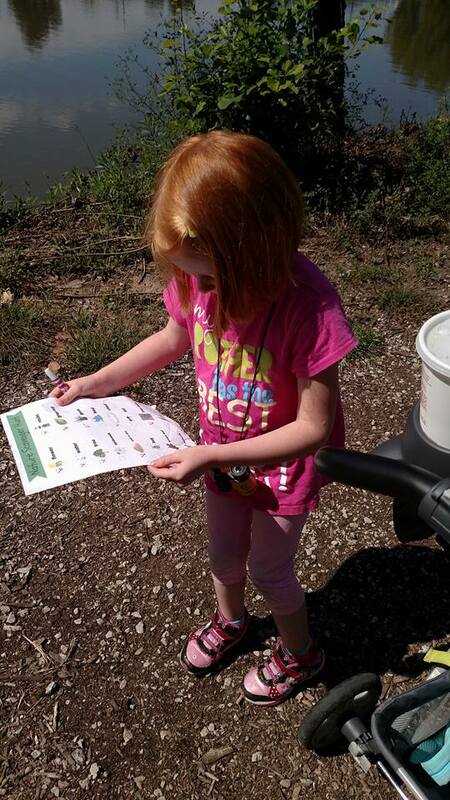 She brought a pair of binoculars and her special pink pen to check off our findings. She was really excited every time we found something on our list. My son rode happily in his stroller, soaking up the sun and listening to all the sounds in the woods. We ran into some nice people that had a very soft and friendly great pyrenees. As we were making our way back to the car, we ran into a few fishermen who caught some blue gill and showed my daughter their catch of the day. It was a nice change of pace everyone to “unplug” take some time to hang out with good ole Mother Nature. So, if you are looking for a fun activity to do with kids that doesn’t cost a dime, I definitely recommend this! Here is a picture of the scavenger hunt – which can be downloaded from Pinterest. 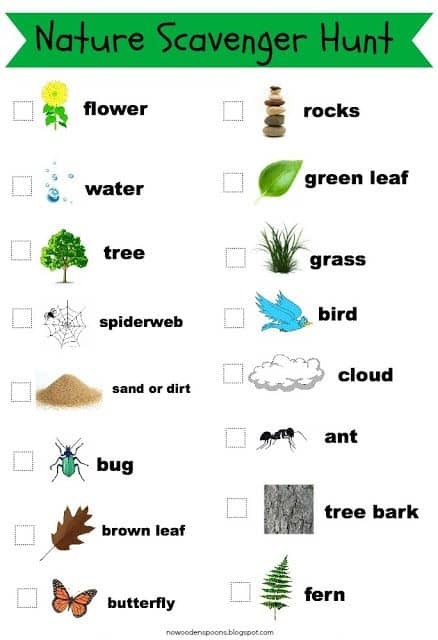 The nature scavenger hunt is appropriate for preschoolers and school-aged kids. You could even take some of your treasures home and have the kids make a cool nature scene on paper!